returns on this Saturday 6 April | The funkiest monthly brunch pool party in Phuket! 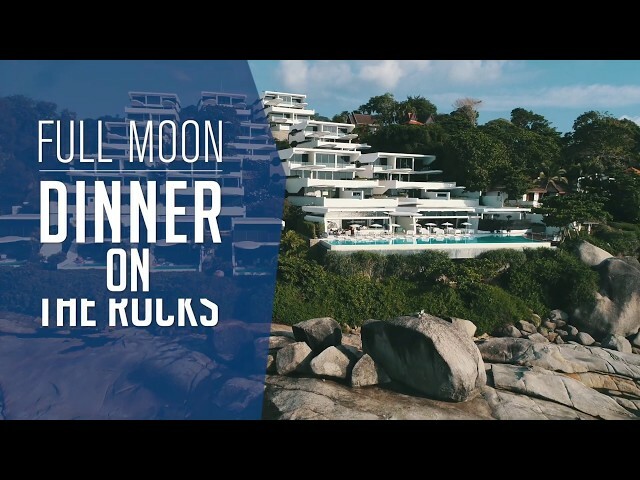 Executive Chef Laia is delighted to host an unforgettable Full Moon Dinner 'On the Rocks' on 20 March 2019 in a secluded location right by the sea. Celebrate the event under the romantic light of a full moon with our exclusive gourmet three-course 'Full Moon' inspired menu. It begins with a starter choice of marinated flash-seared salmon skewer with sour cream, salmon roe, and dill, or crab tartar with green apple, fennel, and avocado. The main course offers either poached Boston Lobster, tagliatelle and bisque emulsion or grilled Wagyu Rib Eye with Portobello Mushrooms and truffled mashed potatoes. Vanilla pannacotta with raspberry sorbet and fresh berries plus coffee and petit fours complete this incredible dining experience. Kata Rocks' 'Dining On the Rocks' is the ultimate destination dining experience in Phuket. Seaside candlelit meals start as the sun sets into the Andaman Sea with scenic Ko Poo in the foreground. The special Full Moon Dinner 'On the Rocks' is priced at THB 3,500++ with wine pairing options available. Seating is limited to 10 guests and advanced reservation is required. 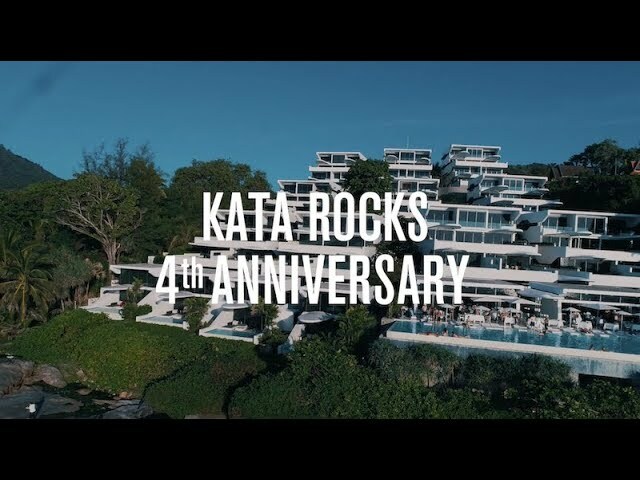 Kata Rocks’ Collective Series XIV Brings Paris, France to Phuket! Phuket’s most talked about party - returns on Saturday 30 March 2019 with a French-themed ‘Parisian Night’ party, embracing the French 'joie de vivre' in a celebration of life, libertinage and the pursuit of a great night out. Set at our terrace and infinity pool area with its epic sunset view, tickets start from THB 1,600 nett per guest that covers entrance, food (from 6:30pm to 8:30pm) and two drinks. Space is limited so advance reservation is required. 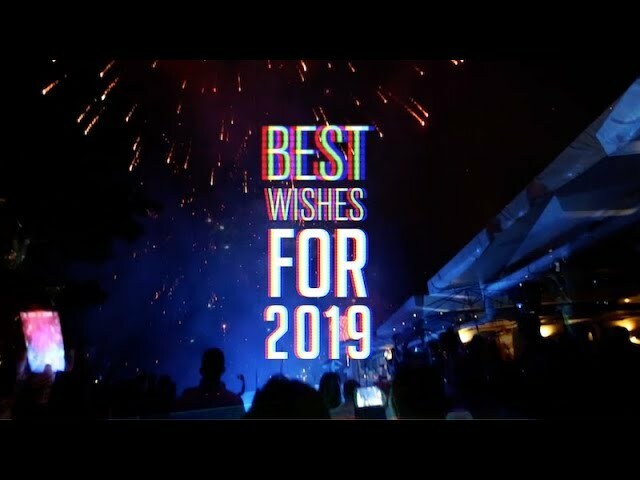 Highlights from the Rocking New Year’s Eve 2018 in Studio 54 Style. 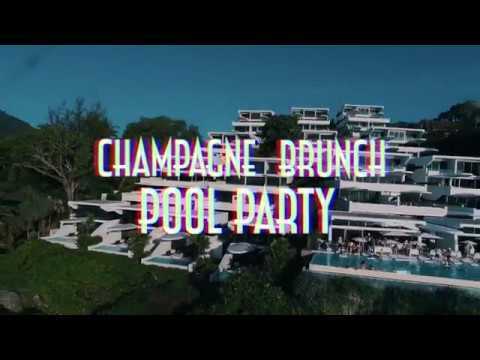 The funkiest monthly brunch pool party in Phuket! Guests may choose from gourmet dishes such as oysters, Boston lobsters, crab, made-to-order eggs Benedict and much more. Thai inspired delicacies and healthy salads are also available. As well as a BBQ station that features grilled meats and fresh seafood. For dessert, guests may indulge in sinfully delicious treats ranging from sweet and fruity tarts to homemade ice cream. 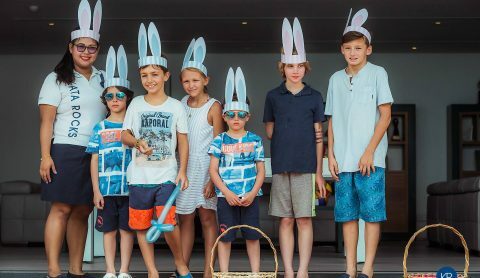 The Champagne brunch is available from 12:00 to 3 pm, the pool party, continues until sunset, with musical entertainment from our resident DJ Wii and musical extraordinaire, Jeo Zerna. For more information and reservation, please contact dining@katarocks.com.